The following report was posted on KARE 11’s website on May 29, 2014. Many residents of Minneapolis will tell you that the vast park system is the crown jewel of the city. Well, the folks at The Trust for Public Land will back that up. The nonprofit organization’s 3rd annual ParkScore® index gave Minneapolis a perfect “5-park bench” rating, naming the Mini-Apple’s park system as the country’s best for the second straight year. New York, Boston, Portland, and San Francisco round out the top five. The Trust for Public Land ParkScores are based equally on three factors: Park access, which measures the percentage of residents living within a 10-minute walk of a park (approximately ½-mile); Park size, which is based on a city’s median park size and the percentage of total city area dedicated to parks; and Services and investment, which combines the number of playgrounds per 10,000 city residents and per capita park spending. In addition to the national ranking, each city receives a “park bench” rating on a scale of zero to five. 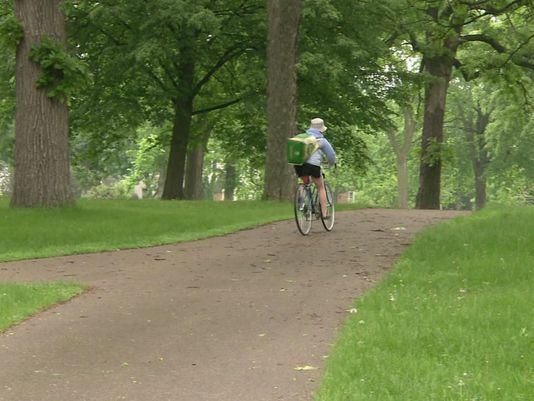 With 94 percent of residents living within a 10-minute walk of a park, Minneapolis received especially high marks for park access. The city’s strong parks budget also boosted its ParkScore rating. Second-place finisher New York fared slightly better on park access, with 97 percent of residents living with within a 10-minute walk of a park. However, New York was hurt by its low median park size, just 1.1 acres compared to Minneapolis’ 7.1-acre median.